Canonical is excited to announce the newest addition to their Charm Partner Programme, Skymind. Skymind is the company behind the open-source project DeepLearning4J, which is the first commercial-grade, open-source deep-learning library written in Java. Canonical’s Charm Partner Programme enables solution providers to make best use of Canonical’s award-winning open source cloud orchestration tool, Juju, which allows them to instantly integrate into hundreds of other solutions; scale at the click of button and share blueprint deployments in a drag-and-drop environment. To learn more about the programme, please visit our partner portal. Skymind’s Deeplearning4j framework is making deep and scalable neural nets to all developers who need to handle unstructured data such as raw text, images, sound and times series. 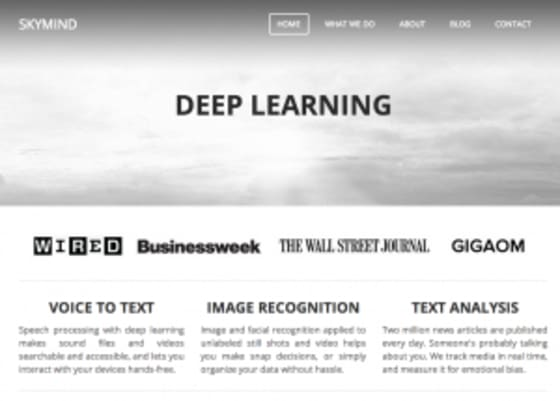 Its artificial neural nets are being used to augment text and image search, conduct sentiment analysis identify anomalies and create powerful recommendation engines.